Clark Kent would activate a robot to take his place at the Daily Planet while dashing off as Superman. Could a robot be your cyberself, working to provide you with an income stream in retirement? Or could you invest in robots working in the short-term robo-gig economy? Joseph Coughlin of MIT’s AgeLab in Forbes is quite certain that we’ll be hiring robot helpers around the house (including serving drinks) and some of us will become robopreneurs, sending out our robots to work. Far fetched? Froyo franchise kiosks (already promoted on radio in the US) serve up robot-prepared and sold frozen yogurt. [grow_thumb image=”http://telecareaware.com/wp-content/uploads/2017/08/Nao.jpg” thumb_width=”170″ /]For your weekend reading (with coffee and a snack) is a study examining human reactions to a purposely programmed error-ridden NAO humanoid robot versus a behaving NAO in performing interactive tasks. The surprise is that people liked the faulty robot more than the perfect one. The study also gauged the human cues to errant behavior (sidelong gazes, laughter)–cues that could tell the robot it’s in error. To Err Is Robot: How Humans Assess and Act toward an Erroneous Social Robot (Frontiers in Robotics and AI) Second tipped hat to Steve More on SoftBank Robotics’ NAO here. Susanne Woodman, our Eye on Tenders, has three for September–one for a major EU initiative. Luton: Luton Borough Council is seeking tender submissions for Call Monitoring & Response Services for Assistive Technology Solutions (Telecare). It is currently being operated 24/7 by Wellbeing staff using Tunstall systems and services. Over 25,800 of Luton residents are over the age of 65 in this highly multi-ethnic area. Bid applications for this five-year contract valued at £210k are due by 21 September. Start date is 9 October. More information at Gov.UK. Coventry and Warwickshire: The Innovative Coventry and Warwickshire Test Bed Project funded by ERDF is seeking quotations to form a framework agreement to provide consultancy services for workshops in community healthcare services, e-health sectors, and assistive technology. The value of this contract is £8,000. Closing is 10 September. More information at Gov.UK. Probably a first for this Editor is news from Singapore on the healthcare technology and innovation front. The first report comes from Today where Deputy Prime Minister Teo Chee Hean advocates for the interesting combination of embracing innovation and ‘serving patients with heart.’ Speaking at the opening of the Lee Kong Chian School of Medicine’s Clinical Sciences Building in Novena, Mr. Teo talked not only about pathogens and biomedical research but also about remote patient monitoring, tele-consulting, and home-care robots. Thursday 7 September, 6-9pm: Aging2.0 London 2-Pint-0 presents Chris Sawyer from Innovate UK on the Digital Health Technology Catalyst 2017 – Round 1 [TTA 14 Aug]. More information here. The Advisory Board consultancy group confirmed its splitup and sale, as originally reported by TTA in mid-July. The Optum data analytics/information/consultancy unit of UnitedHealth Group is acquiring the healthcare practice for $1.3 bn and the education consultancy will be purchased by Vista Equity Partners for $1.55 bn. According to Bloomberg, The Advisory Board has 3,800 employees and roughly $807 million in annual revenue. Reports indicate that it has served over 4,400 healthcare clients. According to the Washington Business Journal, regulatory filings show it will operate as a wholly owned subsidiary of Optum headed by Advisory Board Chairman and CEO Robert Musslewhite. As to relocation, Advisory Board spokespersons confirmed that they will still be moving into a new headquarters on New York Avenue NW, indicating that a move to Minnetonka is not imminent and that at least some of the management will stay. There is no word on relocation out of Washington for the education practice. At closing, outstanding shares of Advisory Board will convert at $52.65 per share, plus an additional amount per share based on the after-tax value of Advisory Board’s 7.6 percent stake in publicly traded Evolent Health. The deal is expected to close by early 2018. Fitbit unveils Ionic smartwatch earlier than expected. Their ‘Hail Mary’ pass? [grow_thumb image=”http://telecareaware.com/wp-content/uploads/2017/08/Ionic-photo.jpg” thumb_width=”150″ /]Surprisingly, Fitbit has formally unveiled today (28 August) its first smartwatch, the Fitbit Ionic, on its 10th anniversary of its first tracker. It’s a slow news week in the US, being the week before the Labor Day holiday 4 Sept and in the UK this Monday with the summer bank holiday. The announcement also feels a bit like a soft reveal in a slow period. However, the industry expected an announcement later this year, so this is considered to be positive. There’s plenty of functionality, though the watch itself from the photos (this is Engadget’s, as the press release did not supply close up pictures) is rather brick-like on the wrist. Balancing that out is a knockout of a 1.42-inch, 348 x 250 px display, the best and brightest yet in the reviewer’s estimation. It also curves a bit through nano-molding technology (NMT) to fit more comfortably on the wrist than the previous Alta tracker. Sleep tracking through monitoring pulse and movement for stages of sleep (deep, REM, light, etc.). The Engadget reviewer noted the uncertain quality of tracking. Pricing has been set at $300/£300 with the usual extra accouterments of dress and sport bands. If you can’t wait, pre-sale starts today on Fitbit.com with retail on-sale globally starting October 2017, without a specific date. For developers, the Fitbit app software development kit (SDK) will be open to developers in September 2017. Will this ‘Hail Mary Pass‘ save Fitbit? Like most smartwatches, it feels like a solution in search of a problem. It depends on how many true believers will upgrade from the Alta to the Ionic, or buy this rather than an Apple Watch, where first-half sales are up 50 percent versus last year to an estimated 2-3 million new units, partly on Fitbit’s faltering back. The big roll of the dice is going with a proprietary OS. Health and other apps are dependent on developers, who are going to have to make a business decision on the watch’s sales and acceptance to commit to a one-off app. 4th Quarter sales will tell….Our earlier coverage of Fitbit and related smartwatches is here. Connected Health Summit 2017 San Diego — last chance to book!! Latest press release info on the conference and the convergence of connected health, IoT, and smart home is here. 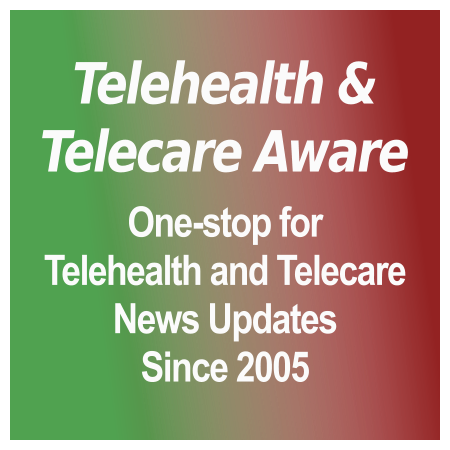 [grow_thumb image=”http://telecareaware.com/wp-content/uploads/2017/08/Interpreta-Higi.jpg” thumb_width=”150″ /]Higi (also higi), which has placed health monitoring kiosks in over 11,000 US retail locations and a 5.5 million signup base, and data cruncher Interpreta announced that they are partnering to blend Higi’s vital signs data with Interpreta’s claims, clinical and genomics data analytics. Based on Mobihealthnews’ article and the joint release, an individual’s health information taken at higi retail stations will be “prioritized within Interpreta in real time”. They also claim that for the first time, insurance payers and providers will be able to leverage biometrics data, clinical, claims and additional genomic information a person may obtain from genetic testing services into a ‘personalized care roadmap’ that closes gaps in care. This is positioned as a big advance in population health and it all sounds great. Perhaps not so great are the details. What about consent and data security? Aside from absolutely no mention of patient consent and HIPAA compliance in the above news, this Editor suspects that past, current and future Higi users may not be made aware that their vital signs data recorded with Higi will be 1) sent into a non-Higi database and 2) integrated with other information that appears in Interpreta’s database. How is this being done? Is consent obtained? What then happens? Is it used on an identified or de-identified basis? Where is it going? Who is doing what with it? Can it be sold, as 23andme’s genomic information is (with consent, but still…)? 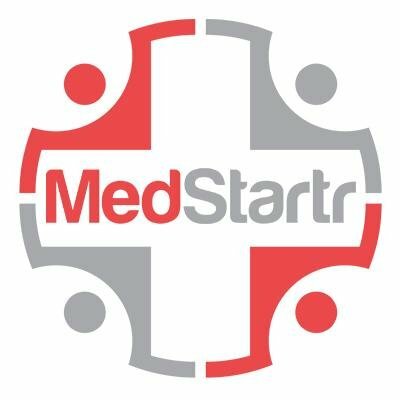 “Interpreta works in the realm of precision medicine, continuously interpreting and synchronizing clinical and genomics data in real time to create a personalized roadmap to enable the orchestration of timely care.” but they do this for providers and health plans who are then responsible for privacy and data integrity. Consent for Higi to keep a record of your blood pressure when you drop into your local RiteAid or ShopRite is not consent for Interpreta to use or manipulate it. These questions should have been addressed in the release or an accompanying fact sheet. We welcome a response from either Higi or Interpreta. See update below. CliniComp International, a current specialized EHR vendor to some Department of Veterans Affairs locations and to the Department of Defense for clinical documentation since 2009, has filed a bid protest in the US Court of Federal Claims on Friday 18 Aug, saying that VA improperly awarded a contract to Cerner in June [TTA 7 June] without a competitive bidding process. At the time, VA Secretary David Shulkin moved the award via a “Determination and Findings” (D&F) which provides for a public health exception to the bidding process. Without this, competitive bidding could take six to eight months, as Dr. Shulkin stated to a Congressional committee after the award–or two years, as DoD’s did–and would have further slowed down the already slow adoption process. Even if all goes well, the transition from VistA to Cerner will not begin at earliest until mid-2019 [TTA 14 Aug]. The Cerner MHS Genesis choice was also logical, given the Federal demand for interoperability with DoD. In June, the House Appropriations Committee approved $65 million for the transition, provided that VA provides detailed reports to Congress on the transition process and its interoperability not only with DoD’s but also private healthcare systems. CliniComp objected to all that, saying in the protest that VA had enough time for an open bidding procedure, that the failure to do so was “predicated on a lack of advance planning,” and that awarding it to Cerner without it was “unreasonable”. “As shown by the nine counts set forth below, the VA’s decision to award a sole-source contract to Cerner is arbitrary, capricious, an abuse of discretion and violates the CICA and Federal Acquisition Regulations,” according to the suit. Oral arguments are set for 2 October, if necessary, after motions are filed next month. Cerner joined in the defense against the protest as of Monday. Susanne Woodman, our Eye on Tenders, has another ‘August special’. This is by New Charter for their alarm monitoring service in Tameside and Nottingham. This is for all sheltered housing customers and a significant number of community alarm (Lifeline) customers in Nottingham. Current subscribers are in over 1,500 properties. At this point, New Charter is requesting a preliminary market consultation to replace the current service with one contract for a single service provider to go live in June 2018. More information is on Gov.UK with contacts and an attached brief. Can unused “TV white spaces” close the rural and urban broadband–and telehealth–gap? [grow_thumb image=”http://telecareaware.com/wp-content/uploads/2017/08/Radio-tower.jpg” thumb_width=”100″ /]The digital divide comes one step closer to closing. Microsoft’s release of its white paper proposing an alternative to the expensive build-out of the US broadband network deserved more attention than it received in July. The Rural Broadband Strategy combines TV white spaces spectrum (the unused UHV television band spectrum in the 600 MHz frequency range which can penetrate through walls, hilly topography, and other obstacles) with fixed wireless and satellite coverage to economically deliver coverage to un/under-served areas versus fiber cable (80 percent savings) and LTE fixed wireless (50 percent). 34 million Americans lack broadband connection to the internet. Some of these are voluntary opt-outs, but 23.4 million live in rural areas without access, with huge economic consequences estimated in the hundreds of billions. TV white spaces can also expand coverage in small cities and more densely populated areas, including usages such as within buildings. This effort also presses the FCC, which in turn has pressed for broadband for two decades, to ensure that at least three channels below 700 MHz are kept unlicensed in all markets in the US, with more TV white spaces for rural areas. The first part, the Rural Airband Initiative, builds on Microsoft’s present 20 programs worldwide, and is planned to connect 2 million people in by July 4, 2022, with 12 projects across the US running in the next 12 months. Much of the connectivity is dedicated to nonprofit efforts like 4-H’s digital literacy program and ‘precision agriculture’ in New York State and Washington. Microsoft is also granting royalty-free access to 39 patents and sample source code related to white spaces spectrum use in rural areas. Telemedicine for all creatures great and small? Veterinarians debate. Will veterinarians be covered by ongoing telemedicine legislation? This surprisingly became an issue with the New Jersey telemedicine bill [TTA 11 Aug] S.291 prior to signature by Governor Christie. The debate was whether “health care providers” covered under the licensing statutes in Title 45 of NJ’s Revised Statutes also included veterinarians in the “including but not limited to” language as well as the nature of the “proper provider-patient relationship” and “patient request”. Reportedly the Governor held his signature in order to sort this out, meeting with healthcare and veterinary representatives. The final bill does not appear to specifically address veterinary practice. For its part, the American Veterinary Medical Association (AVMA) Practice Advisory Panel (AP) came out solidly in favor of non-inclusion in human laws like New Jersey’s in their January report. Their view of the patient-physician relationship is logically different because the animal patient cannot give consent, but an owner/client can, and that difference is not specified in human medicine laws. In the AP’s view, “telemedicine shall only be conducted within an existing VCPR [veterinarian client patient relationship], with the exception for advice given in an emergency care situation until that patient(s) can be seen by or transported to a veterinarian” which is increasingly not true of human telemedicine. Law firm Fox Rothschild’s animal law practice blog cited instances such as when a Texas veterinarian was found to have violated the state practice act by offering advice over the internet. Is an insurer going to care much about HIPAA compliance on PHI? In her view, not likely. Is it a good idea to give an insurer full access to health data? There is the case of an otherwise healthy woman who tested positive for the BRCA 1 gene which indicates that the carrier has an increased risk of breast and ovarian cancer, who was turned down for insurance by USAA. To not disclose would be fraud, but the nuance is risk, not the condition. Will the information be shared within USAA for judgment on other financial instruments, such as mortgages–regardless of legality? 9 to 5 Mac, the tip sheet for all things Apple, tracked down a patent granted to Apple (via Patently Apple) for computing health measurements using the iPhone. According to Apple in the patent, “electrical measurements may be used to measure heart function, compute an electrocardiogram, compute a galvanic skin response that may be indicative of emotional state and/or other physiological condition, and/or compute other health data such as body fat, or blood pressure.” It would use the front-facing camera, light sensor and proximity sensor to emit light that would be reflected back to the sensors. Additional sensors mounted in the same area would also generate additional health measurements such as body fat and EKG, which is already measured by the Kardia Mobile/Alivecor attachment. The camera and light sensor alone, based on the patent and the article, would measure oxygen saturation, pulse rate, perfusion index and a photoplethysmogram (which can monitor breathing rate and detect circulatory conditions like hypovolemia). Another demonstration of Apple’s keen interest in the health field, but what features will show up on real phones and apps–and when? The Future Health Index–a blockbuster 100-page annual study from Philips with research conducted by IPSOS, Schlesinger, and Braun–reflects findings of over 29,000 consumers and 3,300 healthcare professionals in 19 countries. The survey includes analysis by country and aggregate of perception versus reality (both difficult measures) in access to healthcare, integration between healthcare systems, and adoption of healthcare technology. It is, needless to say, complex and hard to parse into a headline and finding or two or four. The UK press release helpfully discusses particulars of the UK findings which are hard to find in the main report. Overall, it’s positive, but nowhere near a tipping point where connected care is expected and routine. Editor’s note: While incredibly comprehensive, this Editor will express a certain disappointment in the researchers’ selection of US and UK experts. This Editor could name five to ten experts and patient advocates in US and UK from personal contacts (including our UK-based Editors) without thinking particularly hard–and with a little homework UAE and Africa–who could have informed their study. This Editor also had the pleasure to meet two of Philips’ connected health executives at this month’s Health 2.0 NYC/MedStartr meeting on population health and value-based care: Nick Padula, VP of Home Healthcare Monitoring, and Eduardo Da Silva, Strategic Sales Director of Philips Wellcentive. Mr. Padula was a panelist for the evening. There is no deadline listed. More information and required document links here on Public Contracts Scotland. Bootle (Merseyside) and Sovini Ltd are seeking assistive technology for about 1,000 residents of its local One Vision Housing with retirement and dispersed housing. Estimated value £180,000 over 24 months. Deadline is 18 Sept at noon. More information at Delta e-Sourcing and Tenders Electronic Daily.